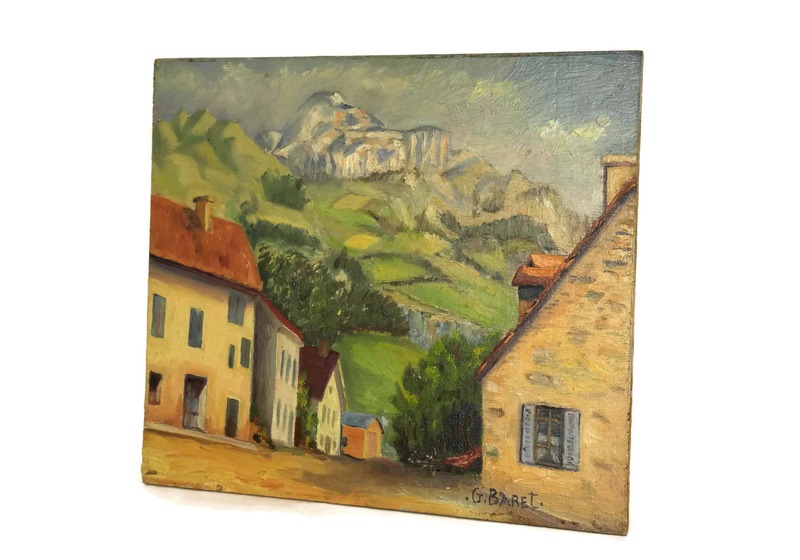 French Village and Mountain Painting by G Baret. 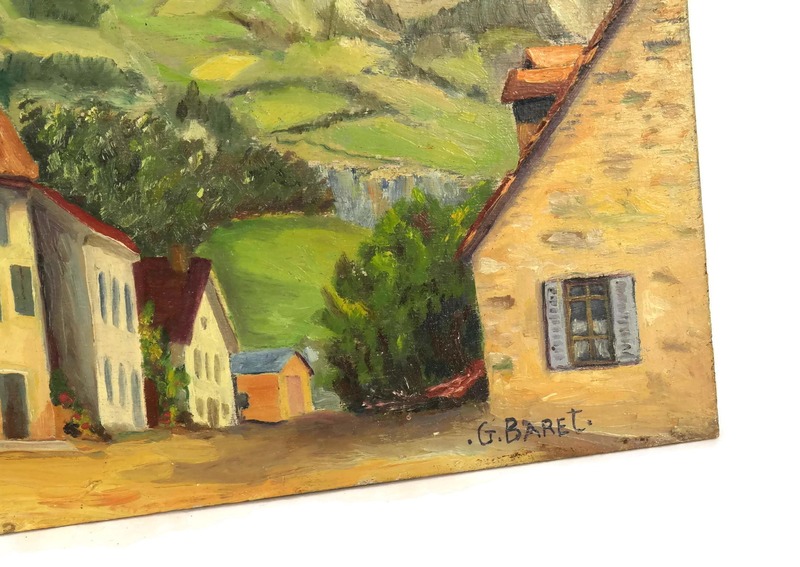 Vintage Original French Art Painting. 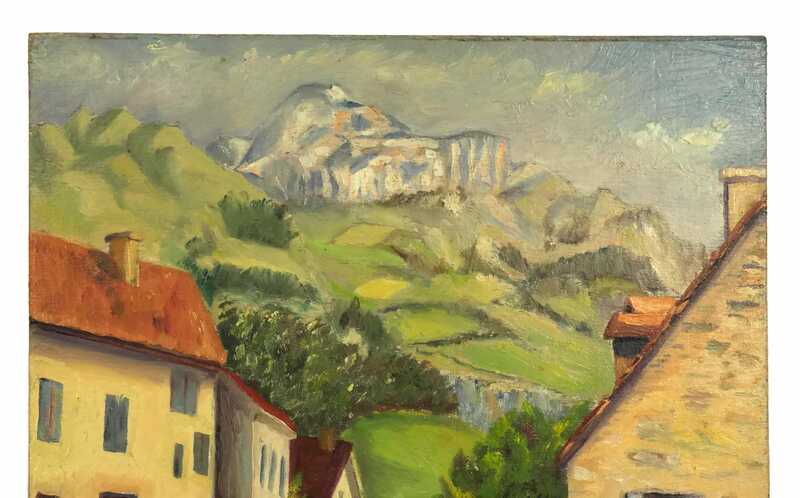 Souvenir of Saint Didier en Devoluy. 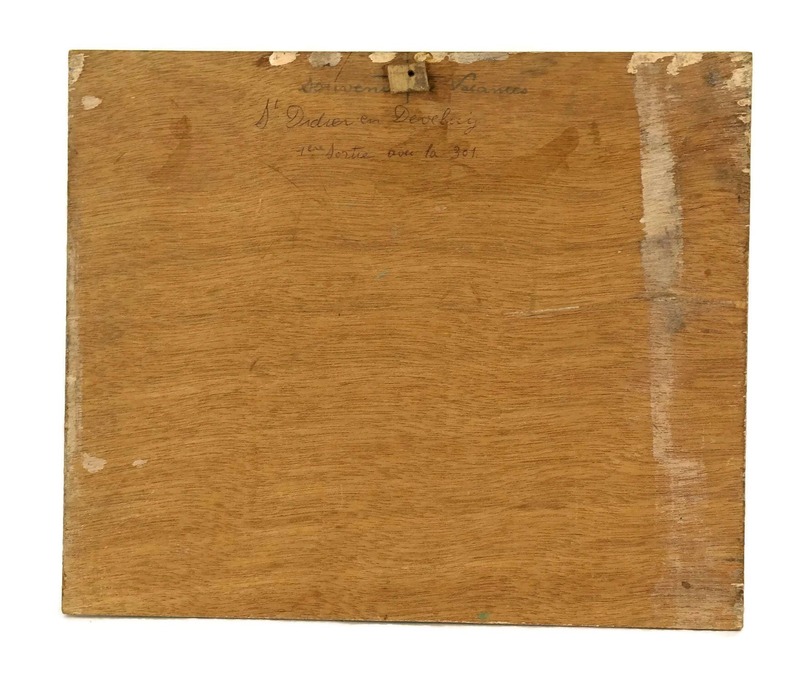 A charming vintage painting dating to the 1940's. 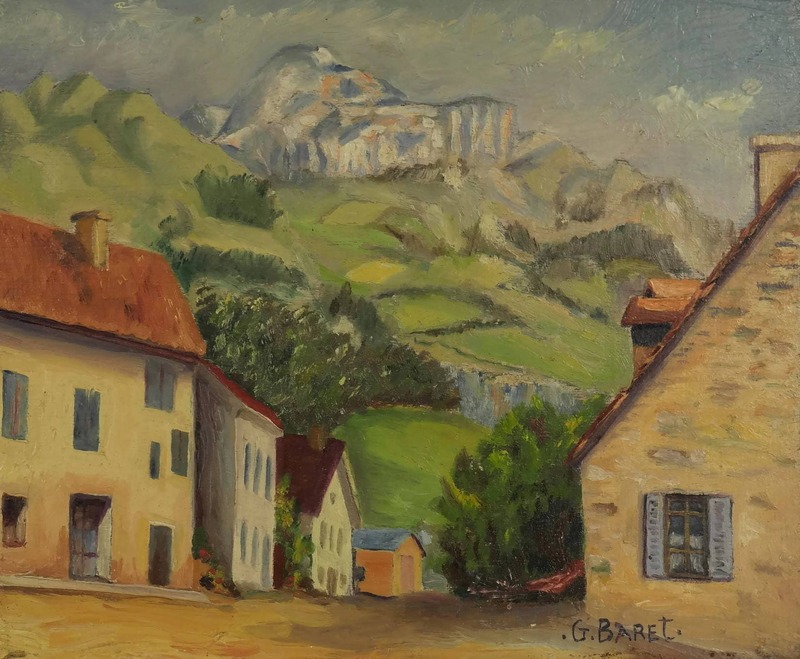 It portrays a scene of a street of the French village of Saint-Disdier-en-Devoluy with the Alps mountains in the background. 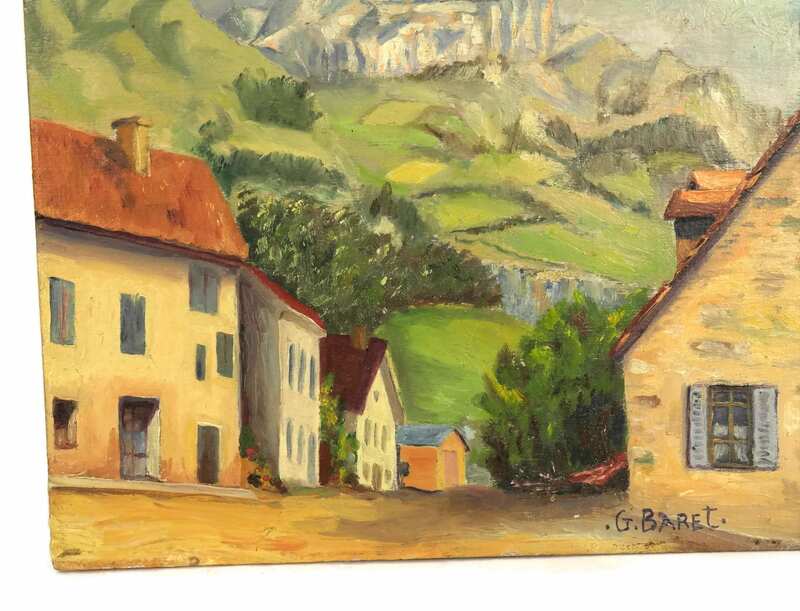 It was painted by the artist G Baret. 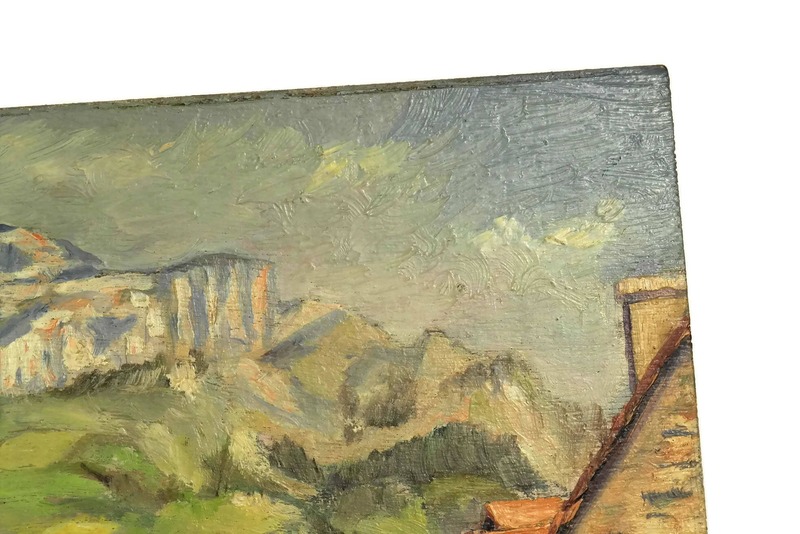 The small original painting has been painted in acrylic on wooden board. 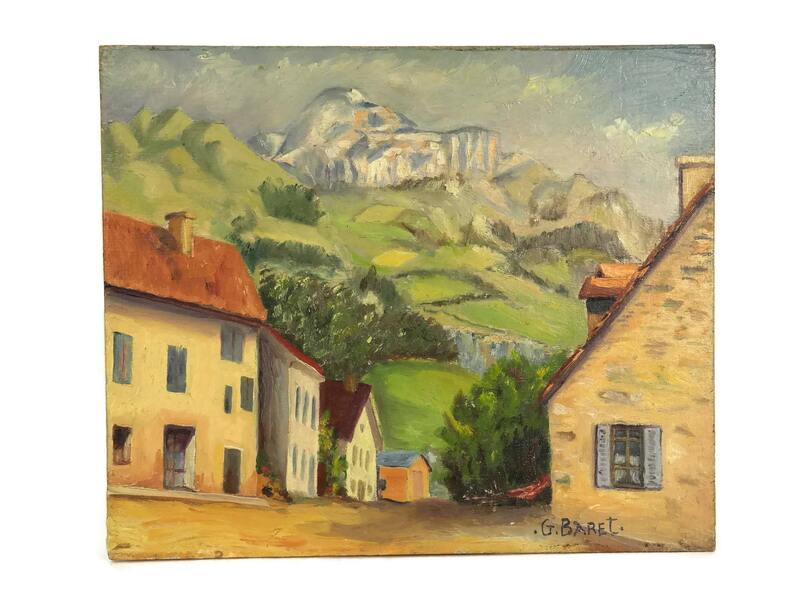 It has been signed by the artist and titled on the reverse side : "Souvenir de Vacances. St Didier en Devoluy. 1ère sortie avec la 301" (Vacations souvenir. St Didier en Devoluy. 1st outing with the Peugeot 301). 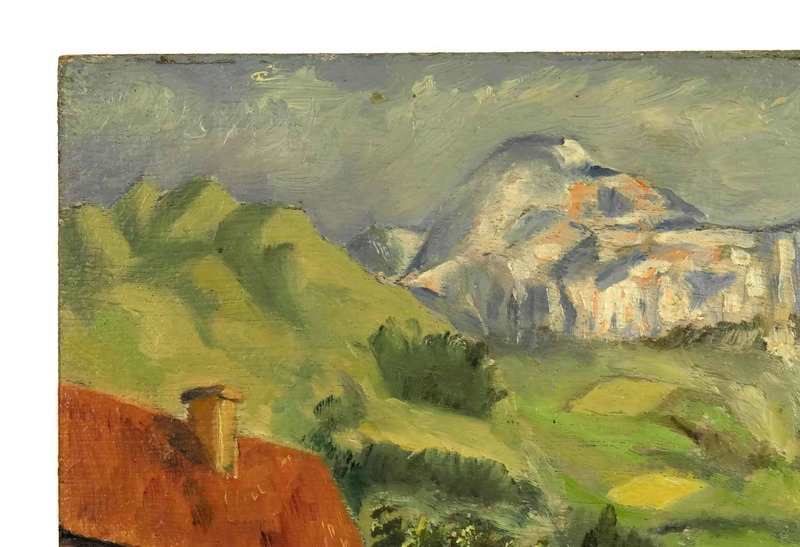 10 1/2" wide x 8 3/4" high (27 cm x 22 cm). 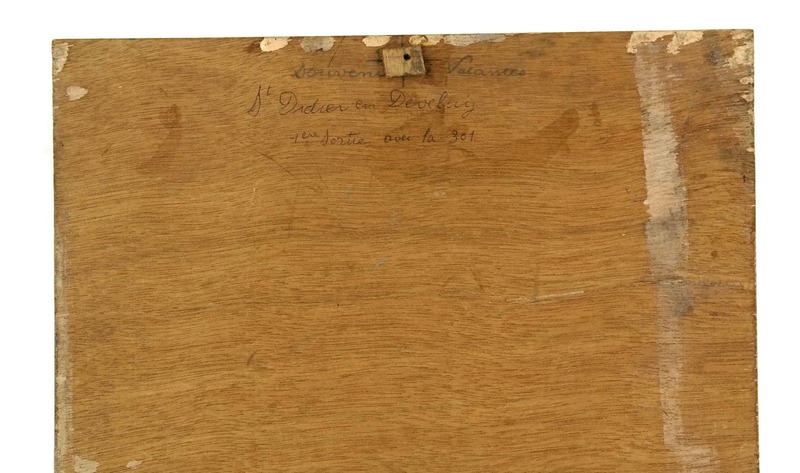 The painting is in good condition with age appropriate wear including light surface marks and scratches.